The thing about Luke Ritchie, you see, is he was once almost attacked by a hippo. Now that may or may not sound significant to you, however Luke probably* had an epiphany (*I say probably – it’s speculation, I don’t actually know). Unlike most who might take this occurance as a message from Hare Krishna to venture to Goa and ‘find themselves’ in yoga before going on to invent a new brand of natural yoghurt or something, Luke rose up and set about creating a rather fanciful portfolio of treats. He’s not all without inner harmony however, he’s a self-confessed green tea drinker. Well it was bound to have some lasting psychological effects I suppose. Like what you see? 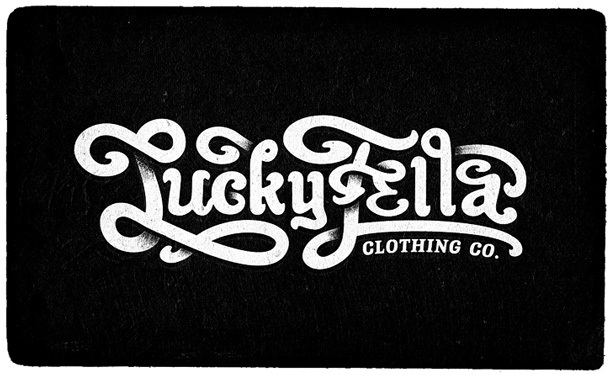 He’s colaborated with @simonalander and produced their handywork on t-shirts under the label LuckyFella Clothing Co.